To make sure you get the best deal we'll show you great prices from all of our drivers, including Lifting London Removal Service , if they're available on the day of your move. 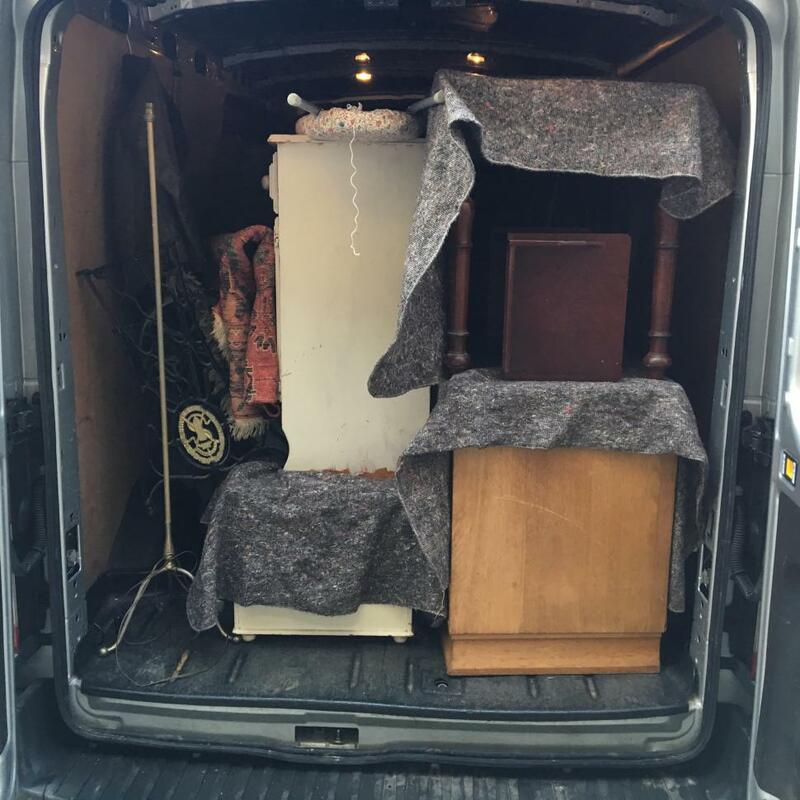 Have a question for Lifting London Removal Service ? No problem, send them a message and they'll email you back as soon as possible. If you have a more general question you might find it answered in the FAQ, or you always contact one of our brilliant customer service team. * Lifting London Removal Service won't be able to see your email address. We are a multi vehicle company, Please book now to sercure our service. Brilliant! The two men arrived bang on time, dealt with carrying some very heavy furniture and white goods down four long flights of stairs, and willingly complied with our plan to drop some items off at the dump on the way to our final destination - even though that request hadn’t been relayed to them in advance (due to last minute change of company). Then drove me plus possessions carefully and sensibly to final destination. Will be recommending this company to all my friends and family. Very professional, extremely helpful, considerate and polite. Thank you for an exceptional service. Very polite and helpful. Would recommend! Nomm, was a good Van & Man person to have helped me today. Although he was not on time, I completely understand why because he called me before the allocated time, and unfortunately he had a flat tyre and I was very understanding because the main thing is that he called me and we kept each other up to date on the mobile phone and texting, I can respect companies and staff that explain with transparency and this is what made my experience 5 out 5 along with his skills and knowledge of packing the items correctly and the order it needs to be done. Thank you, Vish. Phone was excellent and enthusiastic despite 6am start to job! He singlehandedly moved the bulk of my items which included large boxes down two flights of stairs (no lift), several boxes at a time with aid of just a trolley whilst I continued packing and was uncomplaining through it all. We reached my new home some 7 hours on track to collect the keys from the solicitors' office before they closed. The weather during the journey was unfortunately stormy - we were lashed by rain and strong winds - but arrived safely. Strong winds and rain continued at our destination but this did not seem to be a problem for Phone in unloading. A true hero! I recommend Lifting London to anyone and am very pleased to have used them for my move. Driver delayed due to a vehicle issue but kept us informed and it wasn't an issue. Overall good experience. Worked really hard for us, polite and respectful of our belongings. Highly recommended. Driver had a punctured tyre, reason for being late! But got done on time in the end, very helpful and nice guy. Driver was late due to M25 traffic. He text twice with updated ETA. The delay was unavoidable and being kept up to date on the situation was the best way to handle it. Quick, friendly, reliable. Fully loaded in 50 min. Thank you for a great service. I paid extra for another person to help along with the driver. Unfortunately he couldn’t speak any English which made it a little difficult when asking him where to put boxes etc. He was however very good at lifting and moving everything. I did book originally with another company and it got changed 3 times within the week I booked. This didn’t make me feel confident in who was coming to do my removal and it’s already a stressful time without being messed around. We are sorry that you experienced 3 driver changes prior to your booking, which we always try to avoid. However, if the original driver rejects your booking, we will always work to send you a replacement so you are not let down for your move, although you always have the option to cancel if you would prefer, and receive an immediate full refund. The driver was very professional and helpful. He moved the items quickly and careful and was very friendly. I would highly recommend him and I would definitely use him again! Faultless service 5 stars for sure! Great move. The guys were on time, helpful and very respectful. I would definitely recommend! Best experience. worked hard and was super cheerful and accommodating. He was also a very careful driver and good company on the drive down to dorset. I highly recommend this removals company. I booked a luton van with an additional helper. The van, which looked new and clean, arrived 15 minutes early and was loaded smoothly and carefully with our boxes and items. The van was fully loaded, our journey time was two and a half hours, and it arrived at our destination on time. All our belongings where offloaded quickly and with care, the driver and helper asked where to place boxes and items politely, no breakages, no stress. They are great at what they do, they made our move stress free and happy on a day when needed it. Do not hesitate to hire this company. Kept me updated with his progress getting to me, really efficient with loading and unloading. Yellim was really helpful in loading and unloading. He was also very friendly and really wanted to get everything right. Brilliant! Everything went to plan. The driver couldn't have been more friendly and helpful. He worked extremely hard with loading and unloading on a really very hot and humid day. Excellent service. Helpful and very hands on driver, was a huge help. Nawarat was excellent, would definitely recommend!!! Very friendly, very helpful! Will defiantly use again in the near future! Very helpful, efficient, sensitive removals. The guys were polite and speedy and did their job brilliantly. I will use them again. Excellent service. Very efficient, hard working, nice guys! Great, driver arrived on time, with less than an hour notice. Friendly, helpful and fast. A job well done. Thank you. We had booked a driver and later found out that they couldn't make it, so we were given a replacement driver, however the driver we did get was brilliant, really helpful, quick and professional. I did complete the booking form stating that there would be 3 flights of stairs total between the two properties, but this info didn't seem to have been passed on to the driver/recorded correctly, so we had to pay a little extra - however this is an issue with the technology and not the driver - so cant fault him! A wonderfully helpful and reliable driver. An absolute pleasure and I would highly recommmed him to anyone. A fantastic service. Thank you. Fantastic service. Easy to book and everything went smoothly. I will definitely recommend the service to other people. As you booked for 'driver assistance', if the item you were moving was too heavy for the driver to move alone, you would need to either assist him yourself, or book for 2 men. As a man and van service, drivers are not specialist motorbike movers although they will always do their best to strap a bike and move it safely. I had the smoothest and fastest moving ever! Driver was extremely nice and helpful, more than recommended. Friendly and polite however slightly slap-dash with moving of heavier items. Driven and colleague minor lack of communication. Could have sent a larger dude to assist driver. Apart from that smashing service. My bulbs were taken out of all of my lamps, but were never returned. Also, the movers broke the legs on one of the wardrobes. 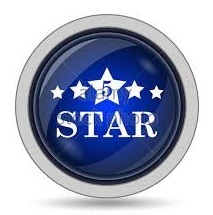 Great service - had good communication and was quick and efficient. Thank you for your help! Great experience, the driver was very helpful and a very nice guy. Totally recommend him! The driver was very, very nice and friendly. He arrived promptly and helped out with the loading and unloading. The service was excellent from start to finish and I would highly recommend the company and their drivers. Absolutely excellent; will book again. Highly recommended. The van broke down on motorway because engine overheated. We were stuck for a bit on side of the road and managed to get to storage facility. We had to wait for 1.5 hours and exchange items to another van. The new driver says the van was larger than what I arranged and charged me £60 extra cash. The driver kindly allowed me to make another stop on the way to collect a fridge. I am requesting some compensation please. First of all, the customer was absolutely aware that the van suddenly over heated on the motorway. As soon as the driver became aware of it, for health and safety reasons, he pulled up and checked the radiator. Then he called CMV to report the incident and was advised to make his way slowly to the garage. The driver spoke in front of the customer and apologised for what had happened to which the customer replied that this was not his fault. I told my driver to drive slowly to the Safe Storage first as we didn't want the customer to have to wait too long and I arranged for a replacement van to arrive within 1.5 hrs. 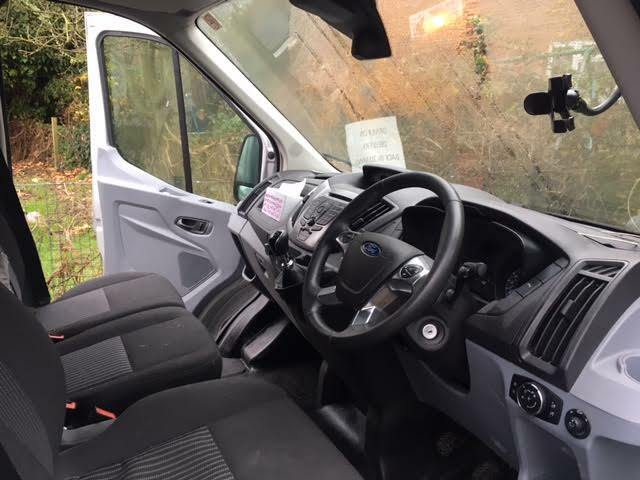 The same time driver mentioned to the customer that all of his belongings would not fit into the medium van he had booked and he was happy to pay to upgrade to a large van, which I was able to provide. The new driver charged a £10 per hr rate for 6.5 hrs, which I believe to be a fair rate. The customer added another via stop, which we covered free of charge and in addition, the booking ran over by 1.5 hrs, which he was also not charged for. 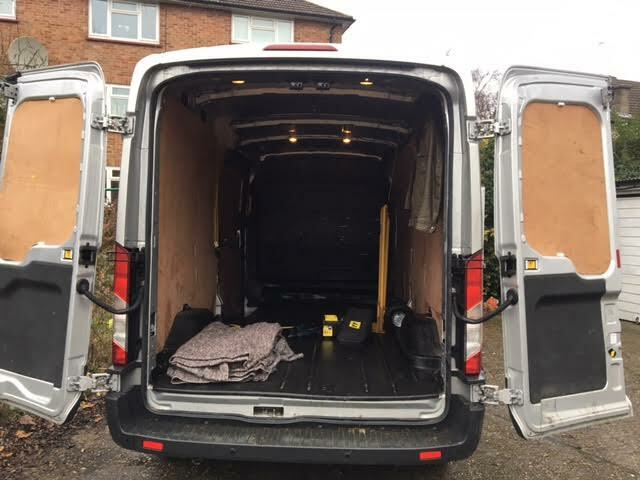 We feel that we handled this booking professionally and although the first van broke down (which was beyond our control) the customer was compensated for this. I am therefore not sure why the customer is asking for further compensation. Absolutely fantastic service, driver was friendly and funny. Helped me with all of my items and even brought snacks for the journey :) Thank you so much! Really nice and professional team. I'd use them again. Shift it sharpish were absolutely fantastic! They phoned to confirm the booking and arrived bang on time (having phoned on the day to confirm they were on their way). They loaded up so quickly but took really good care of everything. They kept in touch on the long drive (Hampshire to Scotland) and arrived when they had said they would. They had everything unloaded within 30 minutes. Faultless! I would highly recommend using them. Great service. Even helped me move all of my stuff in and out of the van! Fantastic driver! He helped load and unload the items and stacked the van really efficiently. Made the move really pleasant, despite having to go via a second pick up point to pick up a second person's belongings. Wardrobe and bedside table and possibly small chest of drawers. The guys did a great job, we had two stops and they were really helpful and we got the job done very quickly and without any fuss at all. Phone is so friendly and alive! He carried every single item with a smile! It was a pleasure having an hardworking person as a driver and helper! Thank you! Our driver was very nice and helpful! He was really professional and helped us throughout the whole process. He definitely made things easier for us and we appreciate it a lot! Top dude, went above and beyond the call of duty. Would highly recommend! He was friendly and hard working. Got the job done quickly and efficiently, whilst being respectful with my stuff. I would highly recommend this driver. Great service- on time, organised and careful with our furniture. Highly recommended. Thank you! All good no problems. The driver collected some items unsupervised and delivered them safely and promptly. Absolute professional. Really nice chap who took very good care of our things and packed the van well. Unloading was a breeze too. Would recommend him to anyone. Seriously unimpressed that my driver was changed last minute. Both the van I book and and image of the van in the replacement email was a lot larger than the small Avis rental van that showed up. I therefore could not fit two large items in the van, and will now have to book another van to take these. 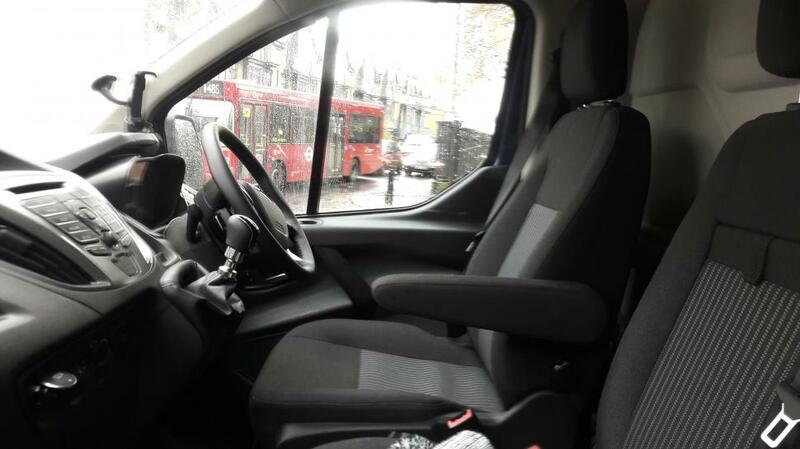 After the original driver reported that he was unable to undertake the booking, a replacement service was arranged so you were not let down for your move. We can confirm that you booked, and were supplied with, a medium van. 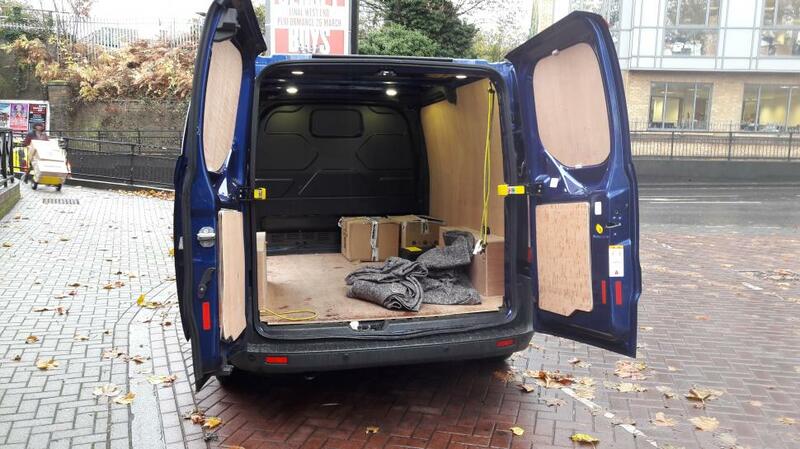 However, as we can see from the booking that you were moving large bedroom furniture, had we been asked we would have recommended that a large van was ordered. The best moving out experience i've ever had! Honestly, a very good driver! Nomm was great! Nothing was too much effort. He made our move stress free. Absolutely amazing service! Really helpful, funny, very personable guy. Very quick with helping to load and unload my items. Nothing was broken or damaged. Very safe driver and good negotiator with the London rush hour traffic. Would definitely book this driver again and recommend him to anyone needing help moving. Phun was on help, extremely helpful and very nice for the entire move. I would definitely recommend him! Very polite and helpful. Highly recommend. I can't remember the driver's name, but he had long hair. He took me to NW2 7PH today from NW2 1BY. His service was fantastic. He was helpful kind, considerate and helpful. He deserves a promotion honestly! Very friendly and respectful of items. We had a lot of boxes and furniture but they managed to fit it all in the van within an hour and finished the whole trip and offloading an hour before expected. They couldn't make the original time but contacted us to suggest a new time. They also stayed in contact when they were 20mins delayed. Would highly recommend. The drivers don't seem to be aware of the assembling and 're assembling bit of the job when requested. We are somewhat confused by this as we understand that the service of disassembly/reassembly of furniture was provided. Excellent service. Really great guys. Very polite and good driver. He is simply the best. Thank you driver. Would thoroughly recommend these guys. I used them for a recent house move (25/09/17) . Extremely polite, extremely hard working and super meticulous. Many thanks, Glyn, Sevenoaks. Driver was actually an hour early but was happy to wait till we were ready. Was very helpful and friendly; advising us on which items would be best to go in the van first etc. Made our move very easy, will definitely use again. Very prompt, courteous and efficient service. Nawarat was very helpful and efficient with my move. The van was actually bigger than I'd expected which was good because we had been worried about fitting everything. Very polite and managed our stuff with care. Wonderful movers. Highly skilled. Very polite. Couldn't have done more for me. Took my IKEA wardrobe apart and put it back together for me at my new flat too. Thank you gentlemen, very much appreciated! Diamonds!! All drivers use the latest sat nav technology to avoid traffic, although of course unfortunately this isn't always possible. As this move was within London, it would have perhaps been advisable to time the move outside of the rush hour to avoid traffic. Wonderful very nice guys did the job with a smile. Thank you so cooperative and made move easy. Nomm and suliman were superb - they informed us that they would be late due to traffic. As soon as they arrived they asked what needed to be moved then loaded van accordingly. The whole way through they smiled and worked diligently - much to my surprise they refused cups of tea and kept working - highly recommended! Our driver was a fantastic help and lovely to work with! Glad we had him for our big move! The driver was very helpful : nothing broke. Moving is stressful but this was good. Really friendly and helpful, made everything much easier, would definitely recommend. Thanks! Very efficient and nice guys! The driver, Michael, was very helpful, polite and friendly. Would not hesitate to use him/the company again. My driver told me in advance that he was running late but they both stayed to get the job finished and did so with energy and hard work. Thank you. Very good driver and helper, definitely recommended! SO very helpful - can't thank him enough and if I ever do move again would use this service again in a heartbeat. First class , cheerful, energetic . Nawarat & Daniel. Thanks for making it all seem so easy and smooth. Efficient careful, punctual and friendly. CMV Response: As displayed prior to booking, we do have a minimum 2 hour booking time although many drivers offer a discount for their services, which may lower the quote you receive. Amazing duo who went above and beyond- helping with a last minute drama over dismantling a bed. Nawarat was calm, efficient and super helpful and I'd definately recommend! Nomm was late as a job had run over prior to our job, however he more than made up for this with speed and efficiency, and got the job done on time. Very helpful and respectful, had the correct tools when we needed to dismantle our couch, good job. He is very good and helpful. Very eficient! I'm very happy with the service. Driver was friendly and helpful. Everything went smoothly and the moving was easy. Thank you! He noted we are tired, so didn't bother us with music or too much talking. Also helped with carrying all the items. A very helpful driver indeed. Driver well very early which was great as we finished packing early. He was helpful, courteous and polite. Nawarat was not on time because of the traffic but did telephone me in advance to warn me that he would be slightly late. He was very polite and helpful at pick up and drop off points. The entire team was amazing - fast, efficient, helpful and friendly. Same applies to staff handling the booking - super professional. Thank you! Driver and helper were both really great, very polite . They drove twice as the van I hired was too small...they were flexible to arrange an slternative for us and we agreed aditional payment on the spot, thank you! They where running late but message me to let me know. It was raining during the move the guys did a great job couldn't be happier!!! They arrived early, were polite, helpful and efficient. My initial driver was not available so I was assigned this one instead. Slight time delay however great communication, professional, friendly & super fast loading / unloading time. Very careful with fragile items. Highly skilled team. Would recommend & use again for sure. Itwas a good an efficient move, and Narawat was very good. Very happy with service, very polite driver and helper. Very respectful of my belongings, and they finished on time. The driver, Nawarat, was a great guy who dealt with the move perfectly. He was professional throughout and was well organised. I would highly recommend him. Nurat was really amazing, would definitely recommend him, so efficient and made the whole moving process as stress-free as possible. Nurat was great, and your customer service were super helpful too. Thanks! The driver came on time and was very swift and helpful with loading and unloading. Very helpful and polite driver. Very pleasant experience, Driver was courteous, helpful and hard working. We had the move done way earlier than I thought. Most definitely commendable. Nawarat was excellent, I can't recommend him highly enough. He was very nice, efficient and helpful. He was in contact ahead of the move to finalise details, which provided peace of mind. The move went as easily as one could possibly expect. I accidentally gave the wrong tel number & address yet he managed to find me. Very friendly & helpful. Helpful, polite and on time. Made the move go smoothly. Highly recommended. This team was absolutely first rate. Top rate. Timely, friendly, careful, communicative. Went over and above. Recommend at the highest level. Very conscientious and helpful driver and helpful. Would highly recommend! He was absolutely lovely! 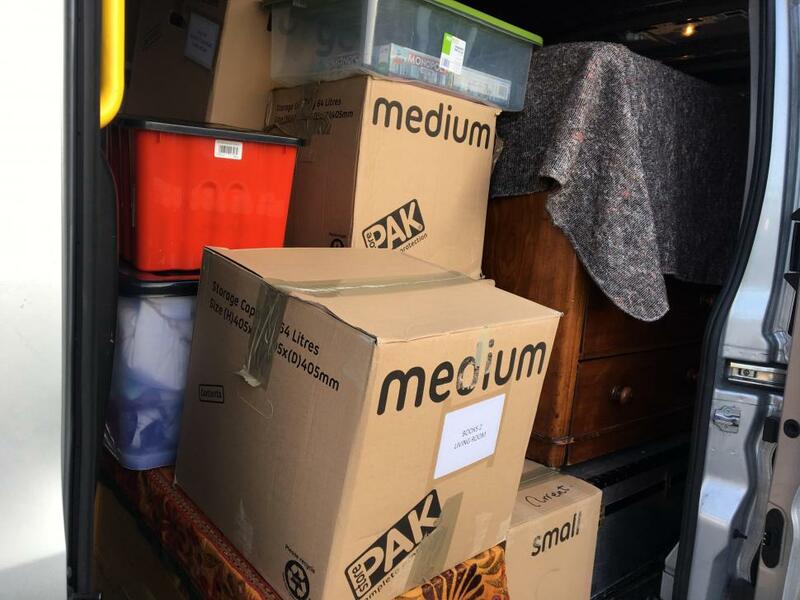 Early (which worked for me) - the move went much more quickly than I anticipated, and I also drove with him in the van as I was moving from London to Oxford. He had water and snacks to hand, and was very pleasant to chat with. I would highly recommend to all, and I think the pricing is excellent too. Really nice and helpful service. Great attitude, friendly and respectful. I recommend this driver wholeheartedly. He also assisted with the move, and it was clear that he has experience and professionalism. Great service, well priced and immediate. He helped us to remove and assembled the bed. Very courteous, careful and helpful man. I was immensely pleased with how straightforward and smooth everything was carried out. Thank you for a stress free move. Driver was an hour late, but he was very kind and we got the job done quickly. Great service - very prompt and helpful. He was great, courteous, helpful, cheerful. Very grateful he made a hard work day easier. Saved me 2 uber trips and all the commotion that's usually come with my previous moves! We booked with late notice on a Friday evening with in the rush hour and our driver was amazing! He arrived earlier than expected and help us with everything. I travelled with him the all jorney and he was very frendly and respectful. It was a great experience and I totally recomend service. Amazing service! And managed to move in a third of the time! The service was good, as was the price. The driver was over an hour late though. Great move. Very kind. Thanks very much for taking us back again too - above and beyond, much appreciated! Many thanks! great guy, hardworking, and STRONG. Thank you! I needed a small move to send charity items to assist the refugees in Greece. The whole process was smooth and the driver was friendly and early. I would highly recommend the driver. Extremely courteous, packed everything well, had lots of blankets in the van. This delivery was not easy and Nawarat made some serious mistakes. We sent him detailed instructions for the journey but he turned up at the wrong place, had to be escorted to reach our office, and was late to the drop-off destination. He made every effort to fulfil the delivery, but this was a complex job and he should have read the clear instructions we sent to him. Have had this driver before and he was, as before, absolutely stellar. The guys arrived early and made the move quick and easy. Everything from boxes through to bookcases and a mattress all moved with ease and efficiency. Great work guys thank you so much for all the help. Highly recommended. Was the best moving so far, the driver was arrived even before time everything went fast and without any problem, also he helped me a lot and was very respectful definitely I would recommend to anyone. Moving is terrible, but this was a pretty smooth experience overall. Driver was on time and helpful throughout. Would definitely use again. Very friendly and helpful driver. Would definitely recommend! My driver was really good but i did request 2 men and only one showed, the other one 'didn't answer his phone' My driver did discount the price though and move was done in just over an hour. The worst experience ever. When we loaded the car driver told me that I need to pay extra �40 as I booked small van and he came in midium van. He broke my lamp and when I told him that he laugh. I did not kind paying more if those are the rules but we should be more respectful. Compare the Man and Van Response. We have spoken with the driver about this and he does not accept the customer's comments. We have offered the customer reimbursement for the broken lamp and are obviously very sorry that she was left so dissatisfied at the end of her move. I have been contacted 10 minutes before my booking time and informed that the was not able to fulfill the booking. Another driver was assigned to the booking that was 1 and a half hours away from the meeting location. The van was really untidy and dirty. The driver arrived with a second passenger that was surplus since we needed the extra passenger seat as initially agreed on the booking. The other person was sitting with my belongings at the back of the van throughout the journey, which I did not like. The van driver was not able to find the location we needed to get to, so I had to find it on my phone to show him the way. He was smoking during the journey and answering phone calls while driving. Unprofessional and would certainly not use this service again. CMV response - the driver was contacted and asked for his response. Nawarat emailed us with an apology and has also called the customer directly and apologised. We consider this matter closed. The driver was a little bit late but he helped me to move my stuff and I really appreciate that. The driver was late but messaged to advise. The van was clean and the driver was helpful. Good experience and would use the service again. A very polite and helpful driver! Well done him! I found the service to be good and faster than expected, however,the driver did have a little moan about the weight of some of my items. I don't think he knew I could hear him at the time. Nawarat was efficient, helpful, polite and literally went the extra mile or two to finish the job. my driver was very nice, friendly and on time. Very helpful, more than asked! Very kind and professional driver! Highly recommended! I would highly recommend this company. Nawarat was friendly, polite and very efficient and informed me of his whereabouts throughout his journey to and from my house so I knew when he would arrive and when everything would be delivered. He had plenty of blankets and straps and looked after my stuff very well. He even kept my goldfish safe and looked after him on the journey! Great service, would definitely use again. Long trip and not bored as the driver was very sociable. Perfect move. Would totally recommend. Driver was late but kept me informed on arrival times. Very helpful and polite. I would highly recommend using their service. Your driver is very good. Extremely pleased. Our man was strong, super helpful and good company. He went over and beyond his job description helping us putting furniture together and accommodating some slight changes to our original spec. Thoroughly recommend! Our move was very smooth thank to the driver Nawrat NA was very very helpful. He was well before time and helped us move all our stuff in to the vehicle. Thanks to him we had most stress free move. Would highly recommend him . Very polite and helpful. Would recommend him to anyone. Arrived early, packed and unpacked fast but carefully, cheerful and helpful guy, nice vehicle, definitely recommend him. I booked a furniture delivery with Nawarat. 5-star service. On-time, very polite, hard worker. Excellent service and stored his contact for later. Recommended. Excellent, very friendly and efficient. Also took great care in loading the van, heavy items at bottom, light on top etc. Driver was very helpful and efficient. Thank you Nawarat. Nawarat was great. He was very helpful, polite and very strong! Would recommend and call him again. This man went beyond what was expected. His patience and calm presence was a tremendous help for our stressful day. Strongly recommended. Narawat was excellent. Friendly, strong and very competent. 10 out of 10. Fantastic! Everything went very smoothly. Polite, fast and very hardworking! Would recommend. Nawarat was punctual, efficient and a really hard worker. He made our move to Devon from London as smooth as we hoped it would be. He was delightful, extremely apologetic about arriving late (not his fault-due to an accident on the way which had him stuck in gridlock for ages). I would thoroughly recommend him and definitely use him again. He is very punctual, friendly, and polite. He handled all my items carefully and professionally. Highly recommended. I was advised of the delay caused by an accident on the mother way, completely unavoidable and understandable. Nawarat was friendly, extremely helpful and efficient. He drove well, helped me unload and carry the items with care, I appreciated the quality service. Thanks! Top man!! Very helpful, timely and courteous!! Recommended! Driver was absolutely incredible. Friendly and extremely helpful, brilliantly found space where there was almost none. Drive safely and in a timely manner. The only thing was that the driver and vehicle changed to what I was clicking on the picture. I understand that it might be an illustrative picture but there should be a disclaimer as it can be seen as misleading. Overall, great and personal service. Cannot praise the driver enough. Really friendly and helpful. Move happened a lot faster than I thought it would! Would definitely recommend. Nawarat is very polite , friendly and helpful all of which made for a smooth move! It was a difficult move - the sofa was bigger than we expected, but he was very patient and helpful. Really helpful and considerate with my furniture during my house move. He was very friendly too. I would definitely use him again. Arrived early, very quick and efficient. Would definitely use again. The driver was very pleasant and very patient, despite of the traffic encountered. He helped willingly to collect stuff from one building and helped with the off load and carrying upstairs too. He was simply fantastic. I underestimated how many things I had and how difficult the move would be. He managed it fantastically. I am most grateful I had him help me today. Thank you. I didnt need straps and blankets. Very pleased indeed, many thanks!